As you have likely noticed, back to school deals are cropping up at most stores now. This will be my first year purchasing school supplies for my kindergartener (*sniff*), so I’m keeping my eyes peeled for all of the best deals. 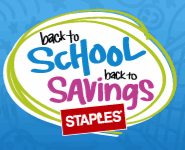 Even if you don’t have a school aged child, now is a great time to stock up on office supplies for work or your home!